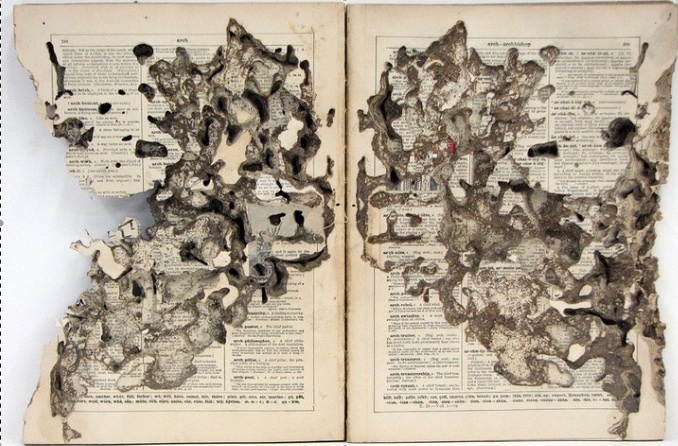 … a dictionary that had been left out on the ground for months to be eaten by slugs, worms, snails and woodlice, with leaves, dirt, twigs and animal droppings now embedded into its surface. The dictionary, a material object that names the world, was thus brought into tension with the (named) animals that consumed it as food. Tunnelled with eating trails, a few tiny fragments of its text remained – ‘tempt/to fail to/up a resist/expos’ – like bits of poetry gleaned from an archive, the uneaten depths of the dictionary. 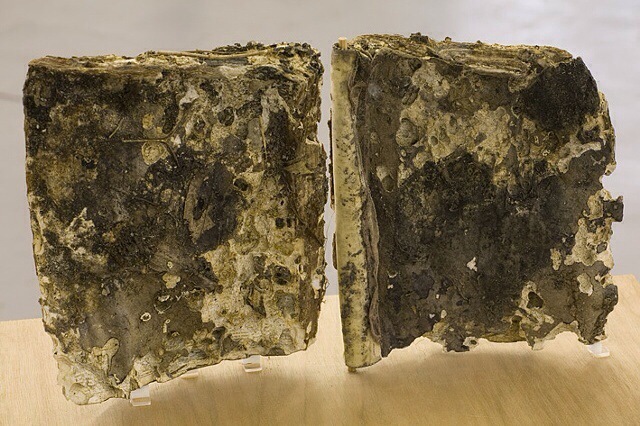 This work lightly referenced John Latham’s Still & Chew book-consuming event of 1966.